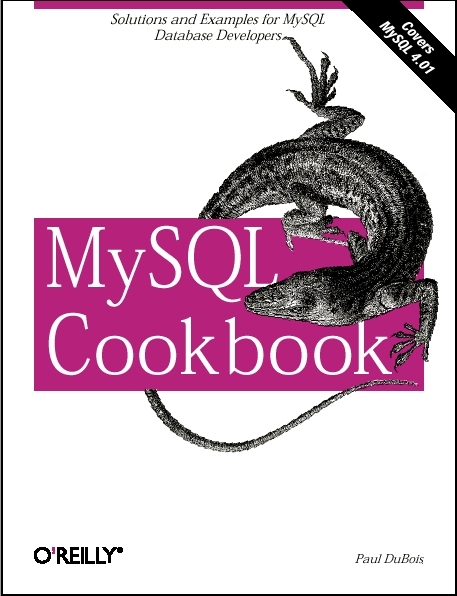 Welcome to the Web site for MySQL Cookbook, First Edition. The most current printing is the Third Edition. The book covers techniques for solving many different SQL problems, and how to write your own MySQL programs using Perl, PHP, Python, and Java. It is written in problem-and-solution format to make it easy for you to find the answers to your questions. It contains SQL-only recipes, command line scripts, and web scripts (using Apache for Perl, PHP, and Python; and Tomcat for Java and JSP/JSTL).